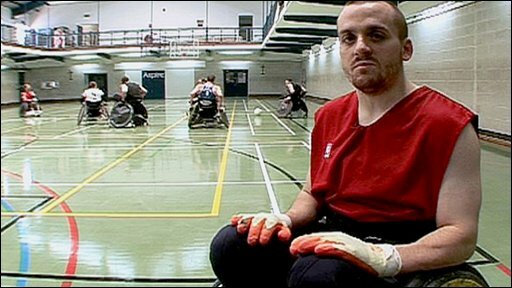 Great Britain have finished outside the medals at the World Wheelchair Rugby Championships in Canada. However, their sixth-placed finish sees GB, who were ranked ninth in the world before the tournament, move three places up the world rankings. Captain Steve Palmer commented: "It would have been terrific to medal at this event. Our defeats have all been by narrow margins." The Unites States won the gold medal, beating Australia in the final. After losing their first three matches, to Canada, Sweden and the USA, Great Britain bounced back to win their next three games, against Germany, Finland and Belgium, before losing to Canada in the fifth/sixth play-off match. Reflecting on the overall performance, chief executive David Pond said: "The team had some immensely difficult matches to play, but even against the world leaders they acquitted themselves well. "Such matches also gave them a clear taste of what the competition will be for 2012, which remains our ultimate goal. "We're certainly nipping at the heels of the countries that have previously dominated the sport and it is clearly all to play for in 2012." 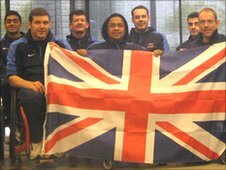 The Great Britain team were made up of Jonathan Coggan, Bulbul Hussain, Steve Palmer (captain), Jason Roberts, Andrew Barrow, Alan Ash, Troye Collins, Justin Frishberg, Ross Morrison, Mandip Sehmi and David Anthony.